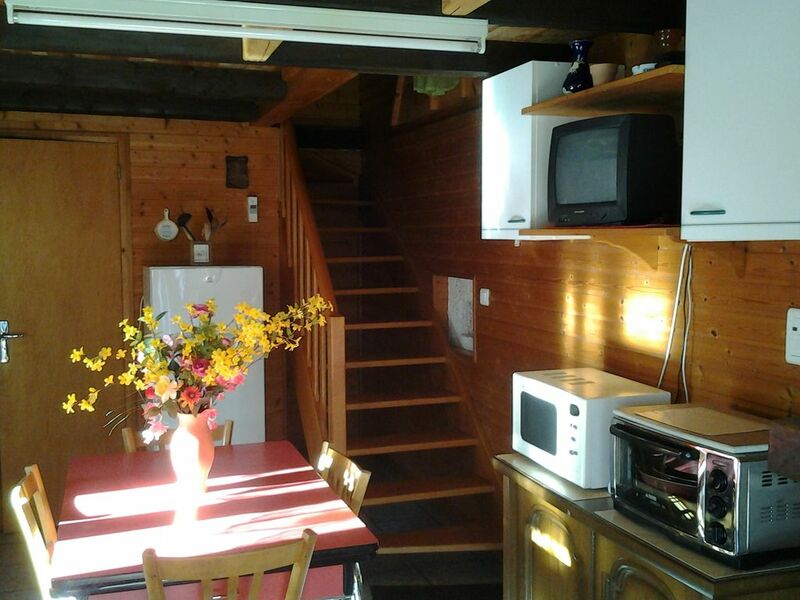 Chalet full of charm. Covered terrace. Beds made on arrival. For an authentic stay and a romantic atmosphere the "Remise Jeanne" is an ideal place to spend a relaxing holiday in a nature preserve away from the stress .... For lovers of hiking departure trails in front of the house. As for the children they will be able to play under your eyes, swing, sandpit ... are at their disposal to spend good moments ... In winter they will be able to calmly play in the snow around the "Remise", And for skiing you will find the resorts of La Bresse, Gerardmer and Ventron ... Close to the cottage sale on the farm "munster, Tomme, eggs, rabbits ... beautiful hikes also on the Vosges ridges with breathtaking views of the Alps and the plain of Alsace. At the bend of your walk you will discover farms inns with their authentic meals "the marcaire menu" ... Omelette ... Tartiflette Munster etc .... A few minutes from the cottage and for a successful day the leisure base with games for children, supervised swimming, animations .... in July big fireworks. The "Discount" is designed for 4 people with separate rooms, beds made upon arrival. Gerardmer: 20 Kms, pédalos..promenades in boats etc ..